Trim, shape and style facial hair. Deep clean facial brush-removes impurities & energises the skin. Pre-shave massage brush softens stubble. Fast clip nose hair, breathe more smoothly. Can be opened,easy to operate and easy to clean. 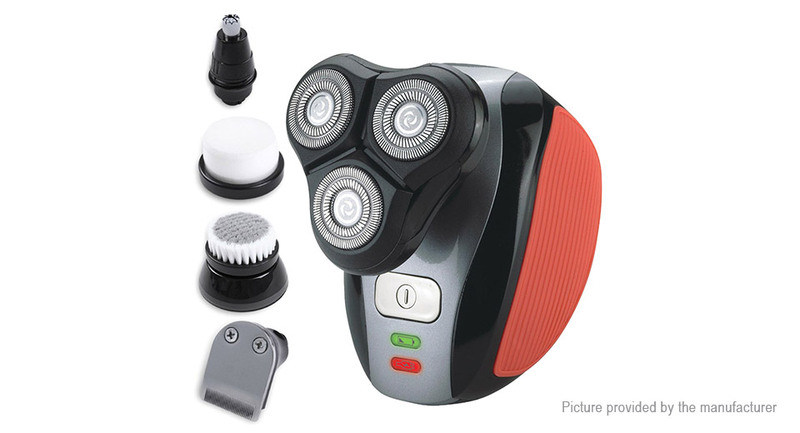 Best ergonomic design,equip with Haircut, Nasal hair pruning, Soft deep brush, Face Cleanser. Charging and discharging indicator, 3 hour fast charging, power 3W. The whole body washable design, can be washed directly with tap water, safe and practical.